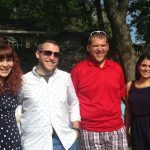 Posted on January 1, 2017 by Jennifer M. by Jennifer M.
Posted on December 22, 2016 December 22, 2016 by Jennifer M. by Jennifer M.
I know that you and your sisters own and run this site, so here’s my question to you: what did you name your children and why? Are there stories/meanings behind your own baby names? Why do Top Name Lists have Different Names? 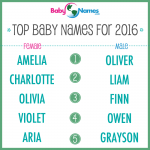 Posted on December 1, 2016 December 1, 2016 by Jennifer M. by Jennifer M.
I see several different sources that post the Top Baby Names of the Year, but they’re different. Why is that? 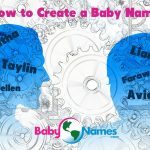 How do I create a baby name? Posted on November 14, 2016 by Jennifer M. by Jennifer M.
Posted on October 3, 2016 October 5, 2016 by Jennifer M. by Jennifer M.
You might get this question all the time, but why do celebrities choose such crazy baby names? Is it just to get publicity? If so, what a horrible thing to do to your child!